1997: Program in Integrative Medicine institutes the Residential Fellowship program. 1997: Start of the Integrative Medicine Consultative Clinic in Tucson. 2000: Associate Fellowship program begins. To date, nearly 800 physicians, nurse practitioners and physician assistants have been trained in this 1,000-hour program, utilizing state-of-the-art online educational techniques and intensive experiential sessions in Tucson. 2001: NIH T32 Research Fellowship is awarded to the Program in Integrative Medicine. 2004: Integrative Family Medicine residency is launched, allowing family medicine residents to complete the Program’s Fellowship while pursuing conventional family medicine residency at one of six partner institutions. 2005: Bravewell Fellows Program is launched with 24 full scholarships and 4 partial scholarships awarded. By 2011, 93 Bravewell Fellows scholarships had been awarded. 2005: Alumni Association (PIMAA/CIMA) founded. 2007: Integrative Rheumatology offers full-tuition scholarships to support new and established academic rheumatologists who wish to incorporate integrative medicine approaches into their practice. 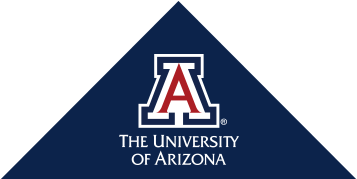 2008: Program in Integrative Medicine is designated a Center of Excellence by the University of Arizona, becoming the Arizona Center for Integrative Medicine. 2008: Integrative Medicine in Residency seamlessly integrates integrative medical education into primary care residency curriculum with the goal of expanding primary care and subspecialty training programs throughout the US. Tested with 8 pilot sites, by 2011, 23 institutions had adopted the curriculum. 2009: Integrative Oncology training program provides critical information and education for health care professionals and patients and their families. 2010: The Fellowship in Integrative Medicine began accepting two classes per year, due to growing demand and class sizes, doubling the number of practitioners receiving IM training to each year. 2010: Integrative Mental Health programs kicked off with a conference, received with overwhelming enthusiasm, during which many regional groups throughout the US connected to form mental health interest groups. An online course on anxiety and depression was also released. 2011: The Integrative Medicine Distinction Track was opened to first year medical students, allowing the Center to impart IM skills and knowledge early in the careers of future medical leaders. 2012: Expanding its research operations dramatically, the Center welcomed internationally-recognized mind-body authority Dr. Esther Sternberg and her team from the National Institutes of Health. 2012: The Center opened the University of Arizona Integrative Health Center, a 3-year project designed to provide world-class integrative primary care, prove the IM primary care model for possible replication, and be the site for an outcomes study, to fuel national conversations on insurance reimbursement for IM and preventive medicine. 2012: Center leadership and invited alumni participated in an educational exchange to Cuba where they witnessed first-hand the lower costs associated with preventive and integrative health care options. 2013: The Pediatric Integrative Medicine in Residency pilot program launched at five sites with 350 faculty and residents. With the sharp rise in chronic illnesses among children, this program satisfies a growing need to offer a residency program that teaches a wide variety of treatment strategies. 2013: The Integrative Health and Lifestyle (IHeLp) program is launched to expand integrative medicine educational opportunities to nurses, dietitians, therapists, and other health care professionals. 2014: The Center is awarded a HRSA grant to establish the National Center for Integrative Primary Healthcare (NCIPH). 2014: The Integrative Health Coaching program is launched, offering alumni of Fellowship and IHeLp programs the next step in integrative health care education. 2016: The Institute on Place and Wellbeing wins a best booth prize at the American Institute of Architects conference for Rooms for Wellbeing exploring the impact of surroundings on health. Co-founded the Consortium of Academic Health Centers for Integrative Medicine, with Duke University and the University of Massachusetts. The Consortium has more than 70 member institutions engaged in clinical, educational, and research programs in integrative medicine. Offers the largest Fellowship in the world, having graduated nearly more than 1200 Fellows in Integrative Medicine, with 160 new practitioners accepted to the Fellowship each year thereafter.